Bombardier Commercial Aircraft announced on Friday 29th that it has concluded a firm purchase agreement with the Indian airline SpiceJet for up to 50 Q400 turboprop aircraft, making it the largest single order ever for the Q400. 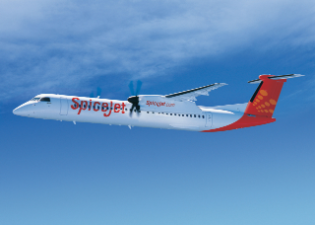 This latest order for the popular Q400 turboprop takes the firm orders to over 600 aircraft and will mean Spicejet will be first in the world to operate a 90-seat turboprop. Subject to pending certification by regulatory authorities. The purchase agreement includes 25 Q400 turboprops and purchase rights on an additional 25 aircraft. Based on list prices, the order is valued at up to US $ 1.7 billion. “We have been witnessing growth in the number of passengers per departure in the turboprop market, and especially in India. Today, Bombardier offers the largest turboprop aircraft available on the market and SpiceJet will be the first airline to take advantage of the profitable and efficient operations that the 90-passenger high-density Q400 will offer them,” said François Cognard, Vice President, Sales, South-Asia and Australasia. Since 2010, SpiceJet has taken delivery of 15 new Q400 aircraft. The airline currently operates 20 Q400 aircraft in a 78-seat configuration to domestic and international destinations. This fleet expansion will provide SpiceJet with the ability to grow profitably and leverage the robust demand forecast in the world’s fastest growing regional aviation market. Bombardier’s Q Series turboprops and CRJ Series regional jets have made significant advances in the Australasia region where approximately 380 aircraft – including more than 240 Q Series turboprops -- are in service with or on order by over 45 customers and operators. Bombardier’s customer support network for commercial aircraft in the Asia-Pacific region includes Regional Support Offices in Gurgaon (India), Tokyo (Japan), Sydney (Australia), Shanghai (China) and Singapore (Singapore), as well as Parts Services Depots in Sydney (Australia), Tianjin (China), Narita (Japan) and Singapore (Singapore). 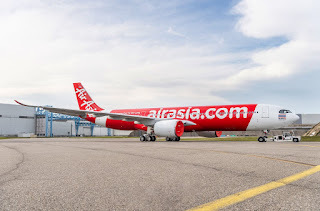 The network also includes three strategically located Authorized Service Facilities -- GMR Aero Technic in Hyderabad (India), STAECO in Jinan (China) and Hawker Pacific in Cairns (Australia). Operating from the company’s regional office located in Singapore, Bombardier Commercial Aircraft’s sales and marketing team is well positioned to provide industry-leading solutions to its current and prospective customers. Including SpiceJet’s order, Bombardier has recorded firm orders for a total of 610 Q400 aircraft.